We have an installation team that works regularly in the Farnham area. 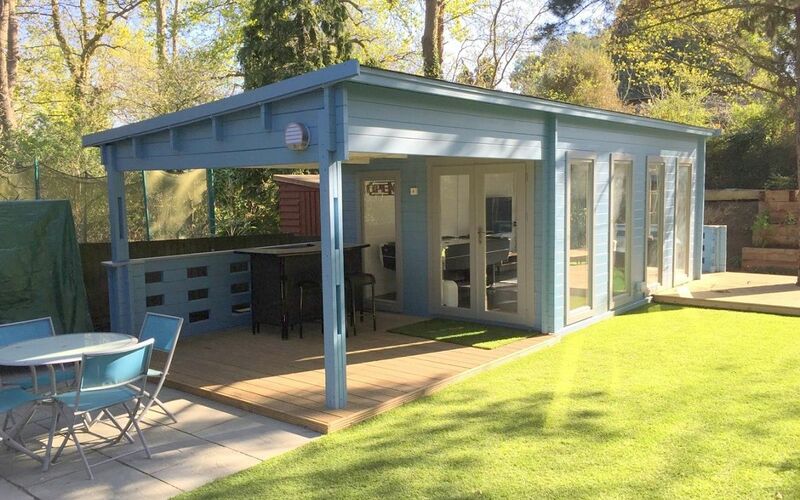 In the past year we have installed log cabins and garden home offices in Farnham, Wrecclesham, Rowledge, Dippenhall, The Sands, Crondall, Badshot Lea, Ewshot, & Tongham areas. We design and build the highest quality log cabins available in the UK. We have a large range of Log Cabins in Farnham, Surrey to suit all requirements and budgets, and we are different from most garden building suppliers in that we specialise in building bespoke, made to measure log cabins that are draftsman drawn and hand crafted to meet your exact specifications. We also source all our timber products from harvested and sustainable forests. Our log cabins in Farnham are constructed from Siberian spruce with an interlocking plank system. This method is superior in every aspect to the conventional panel options offered by other manufacturers. We use a double tongue and grooved wind lock system that is a natural barrier to the elements which is available on all our buildings with a 35mm wall and above. Creative Living log cabins can be utilized in many exciting ways. 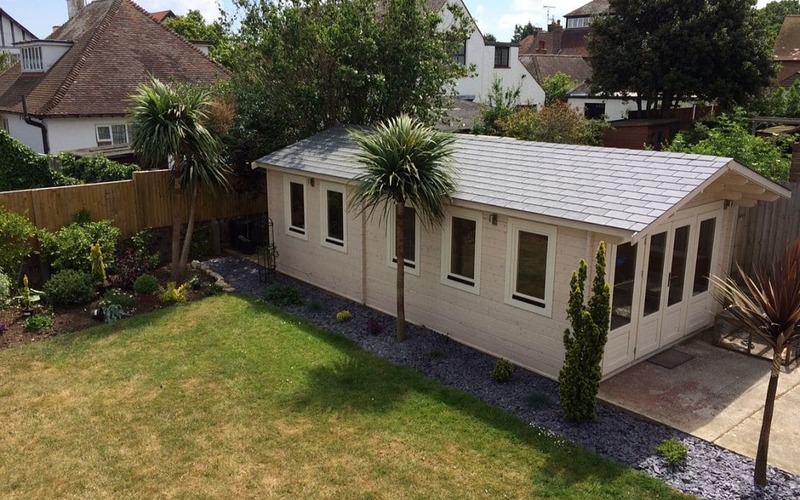 Our log cabins Farnham have been used for home offices, summerhouses, hobby rooms, pavilions, garden buildings of all types and even home gymnasiums. 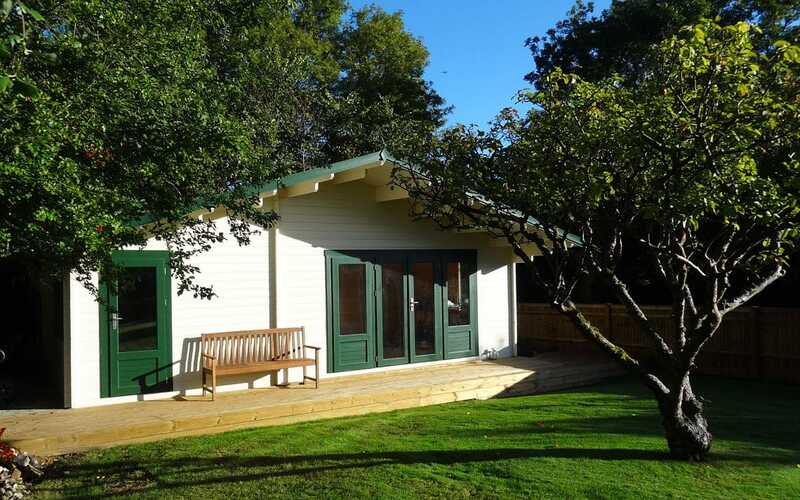 Below are a few examples of cabin projects we have designed and built for our customers. Our sales team and specialist draughtsmen are available to help every step of the way. This service is free to all our customers in the Farnham & Surrey area who want something different and unique. Useful Links for Home Improvements in the Farnham, Surrey region.